New Year = New Gaff? It’s around mid to late January that you finally start anchoring the year down properly! It’s also the time when lots of us start thinking about moving house. The holidays are often a time for reflection and planning for the future, with anyone who’s been contemplating a change of scenery adding a house move to their list of resolutions. Here’s why selling and moving in the New Year can be a good thing. 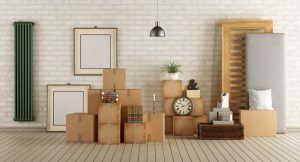 All that tidying up you do in early January can easily be bumped up a notch into a full-on deep-cleaning and decluttering frenzy. As any good estate agent will tell you, cleaning up and depersonalising your property is essential to a successful marketing campaign. So, why stop at clearing out those stray pine needles? Apparently, according to the experts in this sort of thing, a house move can encourage you to live differently. Differently as in better, with any luck. You may move slightly further away from school, work or friends so you have a longer walk each day, or you’re further away from your favourite chip shop. It may alternatively be the case that you’re now nearer to school and work so you can walk in rather than drive. Simply mixing with different people can be refreshing and help you look at life in a new way, which can mean a whole new start. If you go into the market in the New Year, then you’ll be taking advantage of all the other people who are looking to make the same sort of changes and fresh starts that you are. Everyone’s back to work after the holidays and all those DIY projects and moving plans can’t be delayed by Christmas. The time is now, so don’t put it off any longer!